Tree felling is the process of taking down a tree due to health, development requirement or permission granted by the local authority. 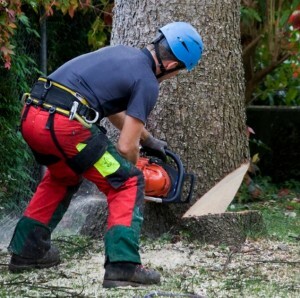 The safe felling is essential in the process of cutting down the tree and J E Varley are experts in this field. With over twenty years felling trees in Bradford, Leeds and throughout Yorkshire the team understand how to safely take down, trim and dispose of any trees. We work with both residential and commercial clients and help them everyday with tree surgery requirements. Whether it’s a large woodland or a single tree we have the equipment needed to carry out safe and non-impactful services. Our team have been fully trained in the process of tree felling and will work with building contractors or any third part to help with the safe removal or woodlands. If you have a tree felling project then speak to the J E Varley team today.